Hi guys ! 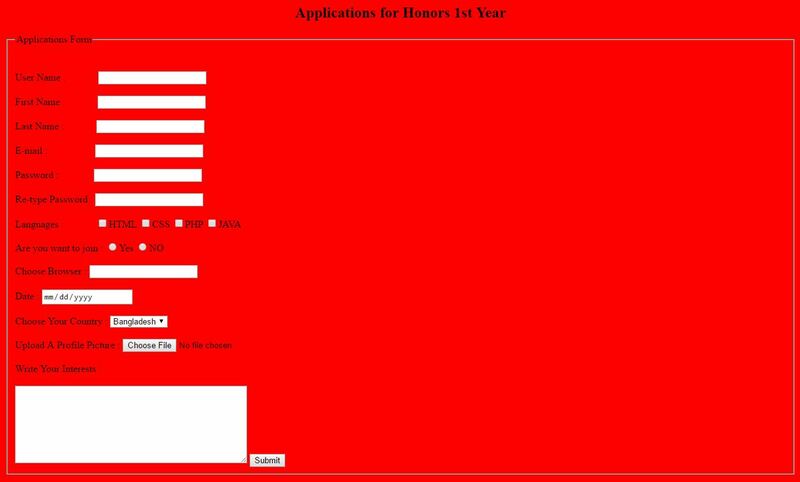 today I am here with a Complete Application Form By Html. After learn these codes you’ll able to create a complete form. So friend’s let’s know how to do it. Hope you all enjoy this lesson. I’ll be back for you guys with a new lesson.